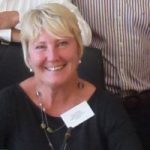 Kay is a member of the RD-Connect Patient Advisory Council (PAC). Kay is the mother of two children who were diagnosed with Alström Syndrome when they were aged 18 & 15 after having had four previous mis-diagnosis. Kay qualified as a lawyer in 1996 and had specialised in charity law. In 1998, she founded the charity Alström Syndrome UK (ASUK). In 2007, after a lengthy battle with the Department of Health, who were then responsible for highly specialised commissioned services, ASUK was made an equal partner in the patient-led Alström Syndrome multi-disciplinary clinics which had been instigated by ASUK. In 2012, Kay founded Alström Syndrome Europe (ASEU). In 2013, Alström Syndrome UK was awarded EURORDIS Patient Organisation of the Year for outstanding services to Alström patients. Kay is currently working on two European Union Horizon 2020 grants with partners from across Europe.